Data recovery-backup and Computer services are done professionally at Sagicam International,when your desktop computer hard drive filled with critical business files or important personal data is clicking, failed, crashed, dead or not recognized, you need a company you can trust to help you recover your precious data quickly and affordably.We are trained to recover data from Windows, Mac and Linux formatted desktop computer hard drives no matter the failure. we have a 4 years experience in Data recovery-backup and Computer services in Cameroon, nationwide, and computer repairs to help you start data recovery services of your failed desktop computer hard drive today. We have recovered all data from well known businesses, college universities, government agencies and individuals. We also have hundreds of positive reviews from our clients across trusted sites like Google,youtube proving we are the most trusted and affordable data recovery service in the country. We offer 24/7 Emergency Data recovery-backup and Computer services in Cameroon for urgent needs or slower service options for individuals looking for the best possible price to recover your files. We guarantee the best price for our clean room data recovery service and we won’t charge you for the recovery attempt if we can’t recover your files. We will perform a FREE evaluation of your damaged desktop hard drive in our office. This will allow us to determine the exact failure of your crashed hard drive so we can provide you with a firm price to recover your files. If you’re not close enough to bring your failed desktop hard drive to our location, we can discuss on hoe to send it over. This will allow you to send your damaged hard disk to directly to our office, quickly, safely and securely to start the FREE evaluation and data recovery process today. Why Do We Need To Perform An Evaluation of Your Failed HDD To Get You a Firm Quote? We perform the evaluation of your failed hard drive the same day we receive it in our lab. In most cases, your assigned data recovery technician will give you a call that same day to go over our findings. You will then decide if you would like us to proceed with the recovery attempt of your failed hard drive and data….. or not. What if our Price To Recover is Too Expensive, Can I quit? Yes, You can simply come and pick your hard drive up, pay for return shipping (2000frs cfa) or donate the drive to us and we will have it professionally destroyed. It’s your choice! After we Recover your Data, How Do you Get It Back? We save your recovered data to a brand new USB external hard drive or flash drive that you can purchase from us or provide to us. 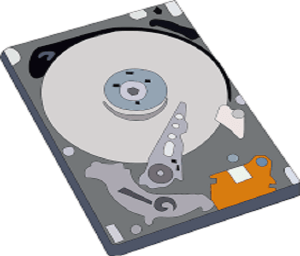 It is very important that we recover your data to a brand new hard drive as we have experienced to many problems with used hard drives that our customers have provided to us in the past. For small or time critical files such as QuickBooks, SQL, etc…. we can save them to our server for instant download.